Painting Company and Estimates In Birmingham Michigan – Free Estimates. Contact Geno’s Painting today for a FREE Estimate in Birmingham, Michigan. At Geno’s Painting & General Contractors, Inc., we guarantee satisfaction every time. Our honest general contractors strive to provide you with exceptional quality services at competitive prices with each and every visit, so don’t hesitate to call our licensed contractors at (248) 288-6161 to request a free estimate for your home or business in Birmingham, Michigan. 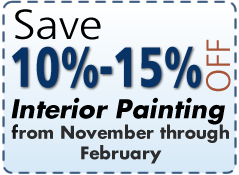 Interior Painting Special – 10% – %15 Off November – February with Geno’s Painting in Clawson Michigan. Geno’s Painting services all of the Metro Detroit Michigan area with quality and professional painting. Best Painting Company and Estimates In Michigan – Free Estimates. Contact Geno’s Painting today for a FREE Estimate in Michigan. At Geno’s Painting & General Contractors, Inc., we guarantee satisfaction every time. Our honest general contractors strive to provide you with exceptional quality services at competitive prices with each and every visit, so don’t hesitate to call our licensed contractors at (248) 288-6161 to request a free estimate for your home or business in Michigan. Painting Estimates In Birmingham Michigan – Free Estimates. Contact Geno’s Painting today for a FREE Estimate in Birmingham Michigan. At Geno’s Painting & General Contractors, Inc., we guarantee satisfaction every time. Our honest general contractors strive to provide you with exceptional quality services at competitive prices with each and every visit, so don’t hesitate to call our licensed contractors at (248) 288-6161 to request a free estimate for your home or business in Birmingham Michigan. 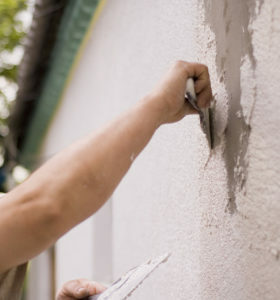 Replace Your Damaged Stucco Siding With A Concrete Product That Matches! Geno’s Painting of Clawson Michigan can replace your damaged stucco siding with a concrete product that matches! We have been proudly serving the Southeast Michigan area since 1988, and our team has more than 37 years of combined experience in the general contracting business. You can count on us to get the job done right the first time. We have recently painted exterior and interior homes in Clawson, Troy, Birmingham, Royal Oak, Bloomfield Hills, West Bloomfield, Farmington, Famington Hills, Rochester, Rochester Hills, Sterling Heights and beyond. 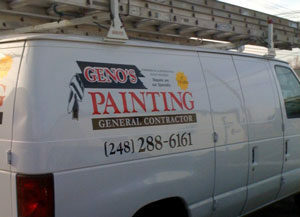 Call Geno’s Painting today at (248) 288-6161 to schedule a FREE ESTIMATE.